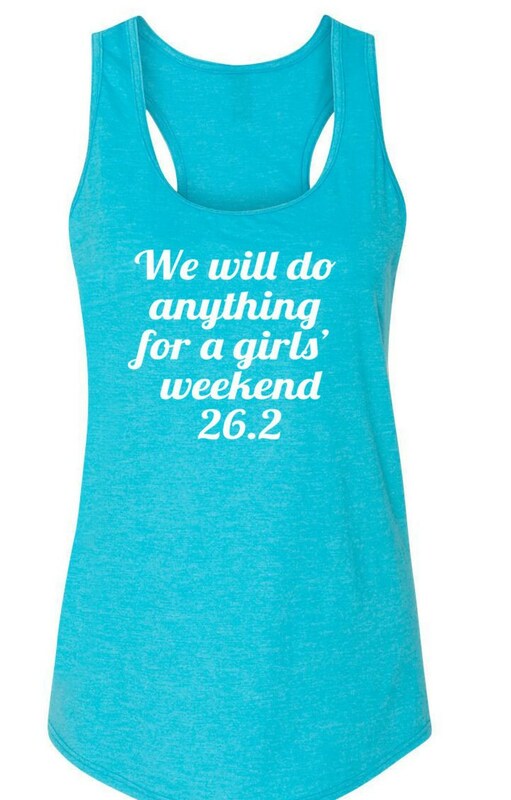 We Will Do Anything For A Girls Weekend Running Tank 26.2 Marathon Tank Running Partners Tank. 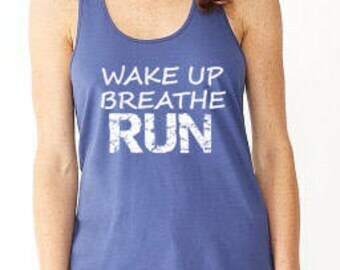 This lightweight racerback tri blend tank is perfect over a sports bra for your run. Get one for yourself or order a set for your running group. These run true to size in my opinion, but please check the sizing guidelines or convo me if you are unsure on size. Since we print each shirt custom to order, we do not accept returns or exchanges. Want something especially made for you or your group? Custom orders are welcome. Just convo me. We can do a variety of print colors, metallics, glitter....etc. For a small upcharge. 26 point 2 miles Marathon Running Shirt for Women.